Toro Y Moi guides listeners on a psychedelic safari through lush landscapes of loops and synths on “Boo Boo,” released Friday, July 7. Chaz Bear, who performs under the moniker of Toro Y Moi, combines decades of funk, electronic dance music and pop influences for his innovative fifth album. I’ve been a fan of Toro Y Moi since 2013’s “Anything In Return,” which remains one of my favorite albums. For that third release, Bear focused on a sound that was heavily influenced by 90s rhythm and blues and dance music. As someone who grew up in the 90s, it’s hard not to have a deep connection with songs like “Say That,” “So Many Details” and “Rose Quartz.” “Anything In Return,” has propelled me through many days and has been on my regular rotation since its release. Since 2001, Bear has created music as Toro Y Moi by combining influences of pop, R&B, hip-hop and rock into his original compositions. After graduating from University of South Carolina with a bachelor’s degree in graphic design in 2009, he released his debut album “Causers of This” in 2010 on Carpark Records. Not long after Toro Y Moi helped create the chillwave scene with the help of Animal Collective, Panda Bear, Washed Out and Neon Indian, Bear took a different direction. 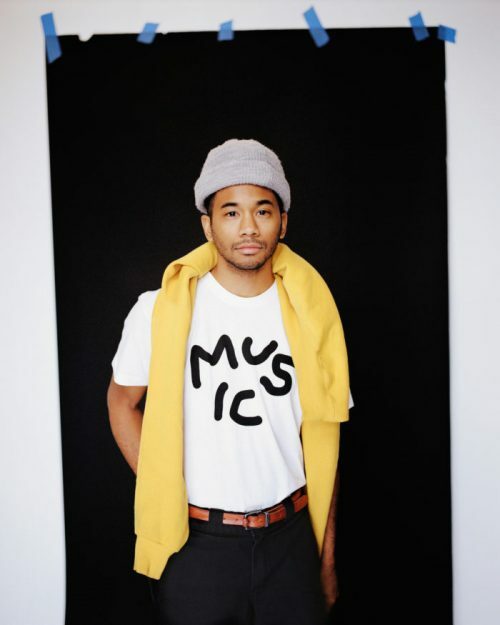 In 2011, he released his second Toro Y Moi album, “Underneath the Pine,” which included no samples, but was comprised of completely original music. He followed that up with the 80s-influenced “Freaking Out” EP. If you’ve never heard of chillwave, it’s a modern interpretation of music inspired by the production of Brian Wilson during The Beach Boys “Pet Sounds” recording sessions. Often combining traditional rock instruments with electronic instruments such as synthesizers, it combines psychedelic and pop influences to create often warped and fuzzy sounds. After “Anything In Return,” Bear would experiment with electronic dance music under the name Les Sins and released an album “Michael,” in 2014. The next year, Toro Y Moi returned with the guitar-heavy “What For?” Without straying too far from the chillwave and electropop genres, the album struck a chord with a growing legion of fans. Songs like the jazzy “Buffalo” and the funky “Empty Nesters,” on “What For” continued to amass success for Toro Y Moi. It didn’t take long for him to get noticed by other artists, too. He was featured under his former name on “RUN” from Tyler, the Creator’s 2015 “Cherry Bomb.” Bear would then release the album “Live From Trona” in 2016, which was recorded live, in front of no audience, in a California Desert. Success was at times overwhelming for the graphic designer from South Carolina. Earlier this year, he teamed up with the twin-brother jazz duo the Mattson 2 for “Star Stuff” subtitled “Chaz Bundick Meets the Mattson 2,” released March 31. His first lines on that album were “I think I’ve gone and lost my mind.” On June 27, Berkeley, California, named that day “Chaz Bundick Day” in honor of Bear’s contribution to the arts. Not long after, he announced that he changed his name from Chazwick Bundick to Chazwick Bear. 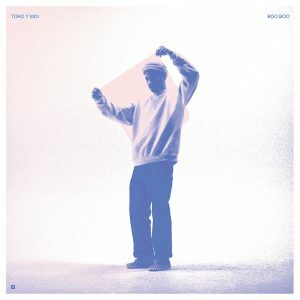 “Boo Boo” begins with Bear saying “I just want everybody to have a good time.” But, this album is far deeper than anything Toro Y Moi has released in the past. It’s also the best Toro Y Moi album to date – melding all the past personal and professional failures into a complex arrangement full of flavor and emotion. Bear is the only performer and vocalist on every track except for the second part of the last one, which features singer Madeline Kenney. Using a variety of synthesizers, including a Moog and Fender Rhodes organ, Bear creates ambient sounds and loops his voice, which is sometimes Auto-tuned, to create harmonies and backup vocals. On that track, he confesses that even though he’s looking for a “girl that’s more than true,” he’s unsure.”I’m acting, playing quiet, smiling, without thought, ’cause my world’s been turned inside out, been gone quite a while.” The scene plays out with him and his summer love sharing a bottle of Pellegrino until sunrise. One of my favorite tracks on the album, “Inside My Head,” has a strong 80s beat that drives the song’s escapism. Featuring sounds of racing cars, the song melds metaphors about leaving his girl in San Francisco and slowing down outside of Reno with escaping the thoughts of her. Bear is not touring in support of the album. As the success of Toro Y Moi grows, I expect Bear to respond by expanding the complexity of its music and experimenting with more outlets for his creativity. Get “Boo Boo” from Carpark Records, iTunes, Amazon, Apple Music, Spotify and Tidal. You can stream the entire album via the Carpark Records on YouTube.